The ginger preserves in this sandwich give it a taste that is reminiscent of a peanut butter and jelly, because it’s a little sweet – but in a good way. Spread insides of muffin with butter and toast in a medium frying pan. 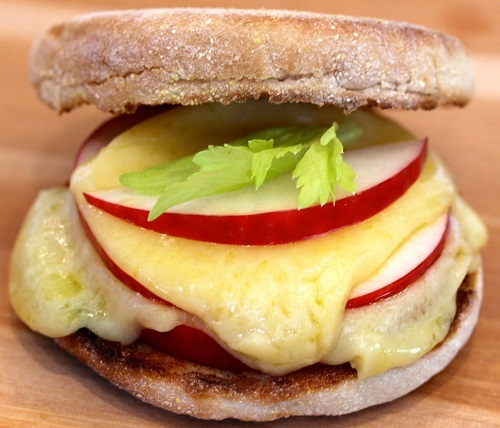 Pile cheese and apple slices on muffin, putting preserves in between cheese and apples, so it is not touching the muffin. Put sandwich in 350 degree oven for 7 minutes, or just until cheese melts. Serve immediately.